Urban Archeologist: You say...Havana, and I say Habana..
You can read the post that accompanies this post card here. This time around I was more interested in Cuba around the time of the revolution. I found an invitation to the Habana Yacht Club. I would like to know who invited Victor to Cuba to be a guest for a day at this posh establishment. 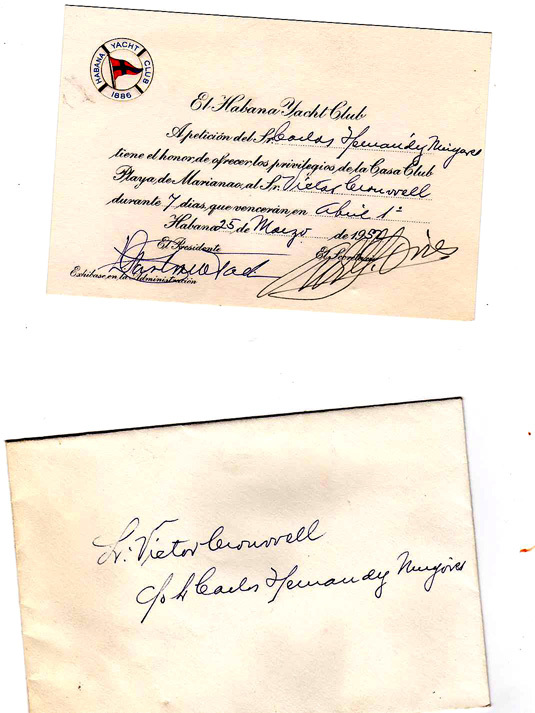 On May 25th, 1952 the invitation offers all the privileges to the invitee to enjoy the Casa Club Playa del Mairianao, which I can't figure out. The Marianao was another club supposedly started by members of the Habana Yacht Club. Because the country is soon in turmoil there is not a lot I can find on the club, other than it is still standing but boarded up today. 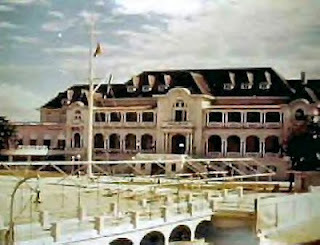 If you know more about the Habana Yacht Club please share it in the comments. I would especially like to know who sent the invitation.